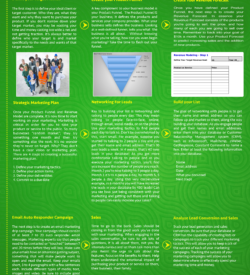 Do you want to make $10k a month in your business? 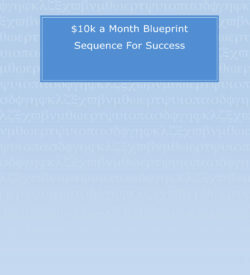 The $10k a Month Sequence for Success Workbook is a step-by-step process to make $10k a month. 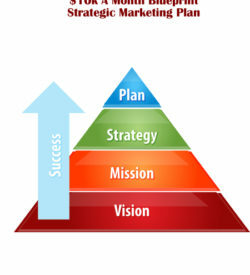 It is a blueprint which tells you exactly what you need to do and when to do it to build the business you always dreamed of. 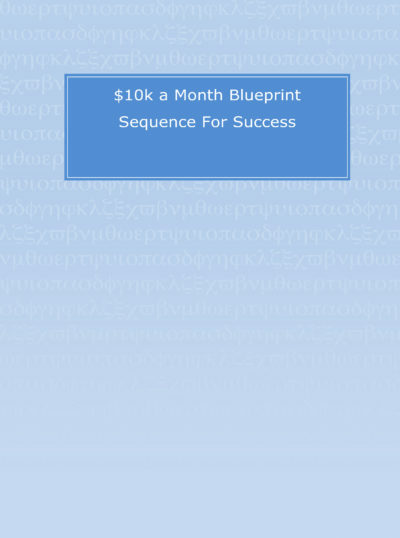 The $10k a Month Blueprint is a self-guided program that focuses on specific sales and marketing tactics to increase revenues generated by you and your company. In 11 modules you will learn the exact steps to take and when to take them to make $10k a month in your business.